When I first flew into Málaga I knew almost nothing about the city, and practically no Spanish. It was my first time in Spain, and arriving in the centre I saw palm trees lining the alameda principal and the blue sea extending from Málaga's modern Muelle Uno port. I was greeted by my two roommates, a French girl and a Russian girl, both here to learn Spanish too. Soon later, I was whisked away to have paella on a nearby beach among other students. Everyone told me that the best way to learn Spanish was by speaking that and only that. 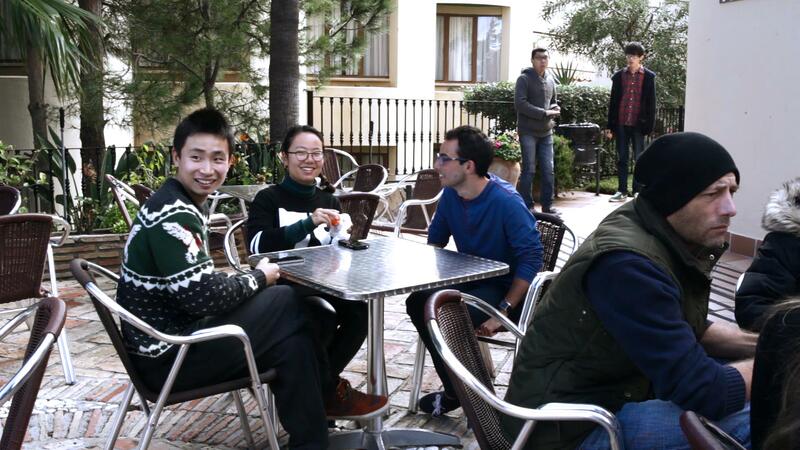 I was amazed to see students from all nationalities using broken and not-so-broken Spanish, depending on how long they'd been in Málaga, to talk amongst each other. Spanish was the common language. And everyone was dedicated to learning it. Having studied Spanish in both Málaga and Madrid, and having visited many other Spanish cities near and far, I can say that Spain is a great country. But no matter where I go, I always love Málaga the most and I see it as one of the best cities to learn Spanish in Spain. As one of the top destinations for students looking to learn Spanish, I promise that you will fall in love with the city, Málaga's traditional tapas, the people you meet, and of course the Spanish language. Whether you're heading to Spain for an exchange or completing a summer language program, choosing Málaga is a choice you won't regret. Málaga is a great destination for so many reasons: it is such an international city, travelling from here is easy (whether it be by bus, train or plane), the people are very friendly, the beach is at your doorstep, and the ski hills are close by in Sierra Nevada, Granada. Some favourite touristic highlights in the city itself include the Gibralfaro Castle, the Alcabaza, the Picasso Museum, the Cathedral, the bull ring, and la Malagueta central beach. As for going out, it's a student haven. You'll soon come to know and love chiringuito beach bars and central squares like Plaza de la Merced and Plaza Uncibay, all surrounded by restaurants and bars. 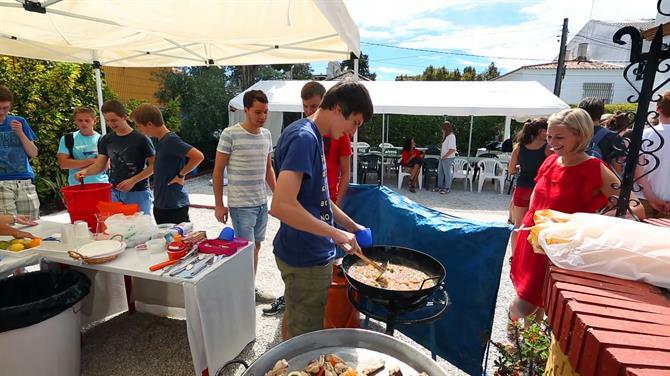 Learning Spanish is fun, and you'll see that Spanish schools like to mix things up, including cultural activities like learning about Spanish cuisine and organizing weekend trips to must-see places in Spain. But where can you practice your Spanish outside of school? Any Spaniard will tell you that the best place to practice your Spanish is en la calle, in the street, and this is 100% true. So, step out into the exciting streets of Málaga, day or night, and start a conversation. You'll be surprised by the amount of people ready to help you learn the language, with hand gestures and encouragements along the way. Don't know where to start? Try Málaga's local market, Mercado Atarazanas, where you'll have to speak with merchants, and inevitably practice your Spanish. Atarazanas is the biggest food market in the city and you'll find the best fruits, vegetables, meat, fish, and olives here. If you need some help, like I did, this article takes you to our ten favourite stalls at Málaga's market, with all the info you need to pick out the best foods. There are also multiple language exchanges that take place throughout the city - people meet up and you can switch between speaking Spanish with someone eager to learn your own native language in exchange. Another great option, once you've familiarized yourself a little with the Spanish language, is to get an internship in Spain, which will allow you improve your Spanish skills and build on your resume at the same time. Deciding where to stay during your Spanish study narrows down quite easily. You could live in a shared flat with other students, rent a private apartment, or live with a host family. This all depends on whether you like living alone or with friends. Some love to stay with a host family to be treated to local cuisines and practice Spanish all of the time. You won't have trouble finding a flat in Málaga, as it is popular for students to come here to take language courses. Most short-term rental flats will be furnished, and if you plan to stay with a host family, your meals may even be included. 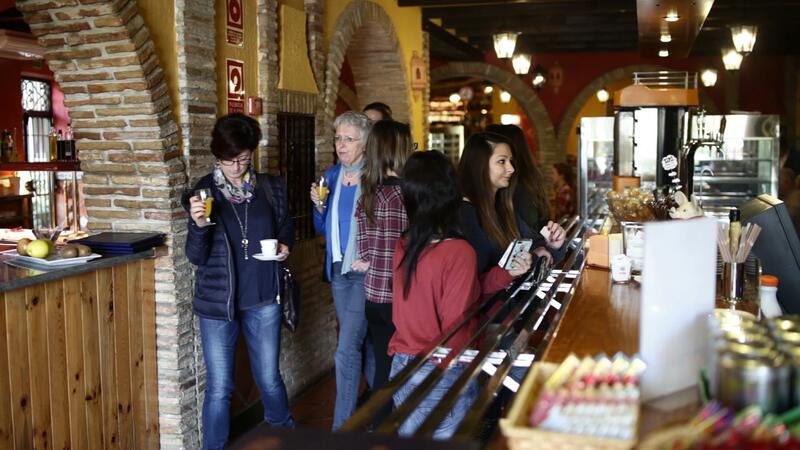 Check out places in El Centro, the centre, as well as El Palo, an area just outside of the city centre that is very popular for Spanish schools. Spain-Holiday.com offers studios, apartments, villas, and houses for rental in Málaga. These can be great for students getting settled in the city, staying for a Spanish study, or for family and friends visiting on holiday. What's up?/Casual way of saying "How are you?" - ¿Qué tal? Malaca Instituto: Malaca Instituto is an award winning school with a unique campus setting, a 10 minute walk from the beach. With 40 years experience, Malaca Instituto offers intensive courses, business Spanish, as well as university and DELE exam preparation. 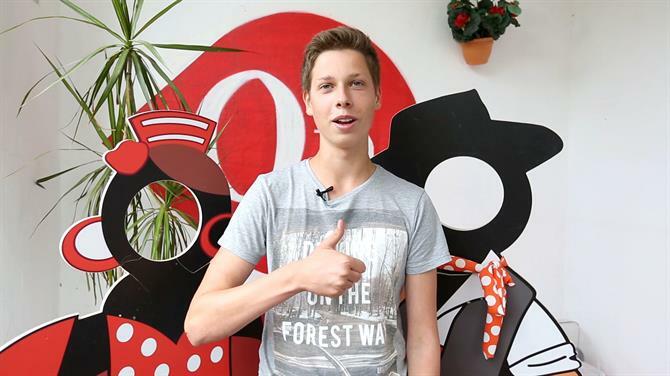 The school also organizes work experience and professional internship opportunities, and older students are said to love the 50s+ programme. OnSpain: OnSpain specializes in group student trips, fun activities, sports, and exciting excursions. One of the greatest things about the school is their International Summer Camp for students aged 15 to 20 years old - an opportunity to meet students from different countries and learn Spanish at the same time. Another interesting fact is that the school is located at an old Spanish home with a large garden. Málaga PLUS: Housed in an original Andalusian villa and situated in coastal Pedregalejo, Málaga PLUS is a well-established academy offering intensive, standard, one-on-one courses, and more. This school is an ideal place to prepare for the DELE exam, benefit from fun cultural immersion activities, and it is suitable for all ages and needs. University of Málaga - International Centre for Spanish: The International Centre for Spanish is the University of Málaga's Spanish school. The language school, located in El Palo just outside the city centre, offers intensive courses, summer courses, one-on-one classes, etc., all at a university level. This was where I studied! Instituto Picasso: Instituto Picasso is a centrally located Spanish school and one of the longest established schools in the city. Situated within Plaza de la Merced square, where Picasso's birth place museum is located, Instituto Picasso offers courses ranging from intensive, to grammar courses, to Spanish literature classes, and more. Cervantes Escuela Internacional: Cervantes Escuela Internacional offers a variety of courses focused on Spanish. General long-term Spanish courses and DELE exam preparation are favourites among students. The school also offers courses for Spanish teachers, and some unique classes include Spanish and Flamenco dancing, Spanish and cooking, and Spanish and tourism. Alhambra Instituto: Alhambra Instituto offers Spanish courses in preparation for the DELE language exam, as well as various courses for a wide audience including children, teenagers, young adults, adults, and seniors. Everyone can have fun learning Spanish, whether it be one-on-one or in a group setting. Málaga Sí: Málaga Sí is a medium-sized school, accredited by the Cervantes Institute. Offering a wide range of Spanish language courses for over fifty years, this school is experienced and will allow you to immerse yourself in the Spanish language while enjoying Spain's incredible culture and the beauty of the Málaga province. Instituto Andalusi: Instituto Andalusi offers Spanish courses for families, teens, and adults. Moreover, this school is very interested in Spanish cultural activities including cuisine, dance, and sports. The school offers Spanish cooking classes, Flamenco dancing, and even the opportunity to pracitce Spanish while playing tennis. A very special thank you to Malaca Instituto and OnSpain for inviting us to film this video at their exceptional Spanish schools and for telling us about studying the Spanish language in Málaga.